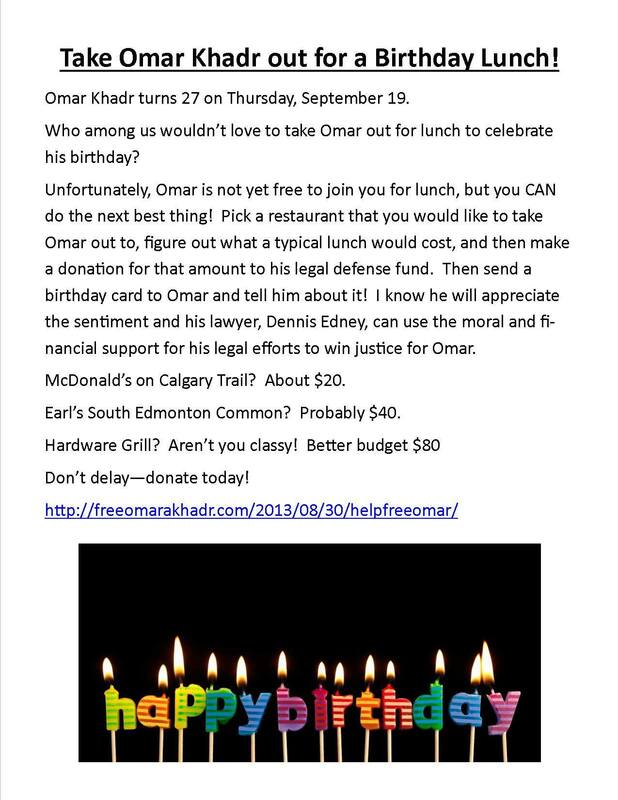 I’m so sorry what Harper’s Canada and his evil corporate war machine did to you Omar. You don’t deserve that. from The New York Times: Is Omar Khadr a threat to national security? These questions, and the way his case has been handled, reveal a great deal about the way we approach national security and detainees. Some of the Guantánamo detainees, as we know, are dangerous men. Others, like Omar Khadr, are emphatically not.